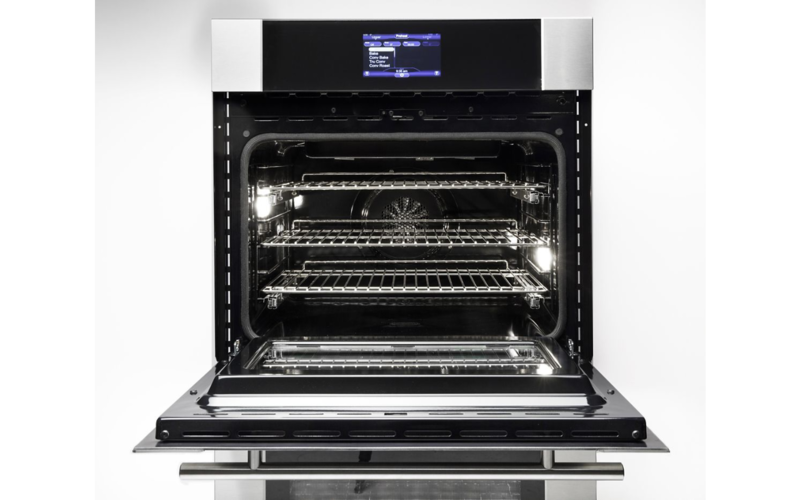 Viking ovens deliver perfectly even heat distribution inside the largest oven capacity available. After one dinner party, you’ll wonder how you ever cooked without them. 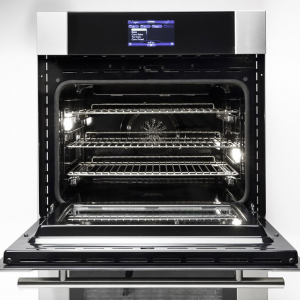 The Viking Professional TurboChef Speedcook Oven combines proven commercial technology with renowned Viking design to create a superior oven specifically for today’s home chef. From innovative controls to amazing cooking performance, this oven is the most innovative Viking oven ever. 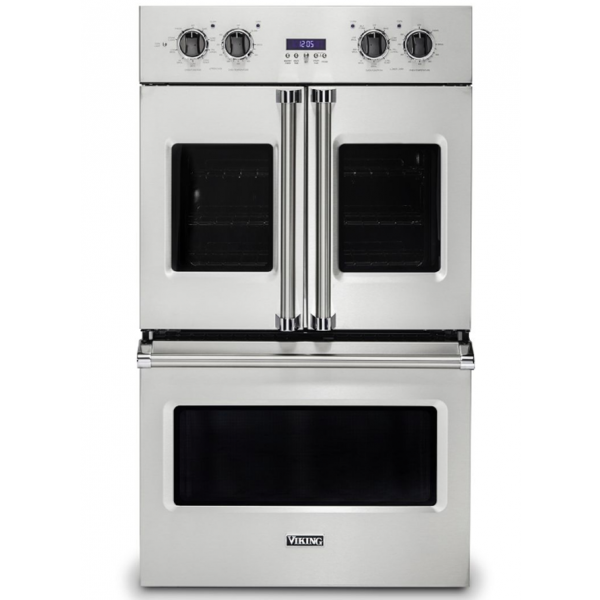 The Viking Professional French-Door Oven introduces total convenience with the same superior power and performance as other Viking Professional ovens. 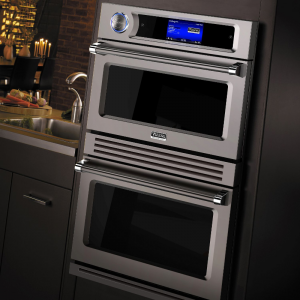 Side swing doors turn this traditional oven into a modern amenity, putting accessibility to your dish within arm’s reach. 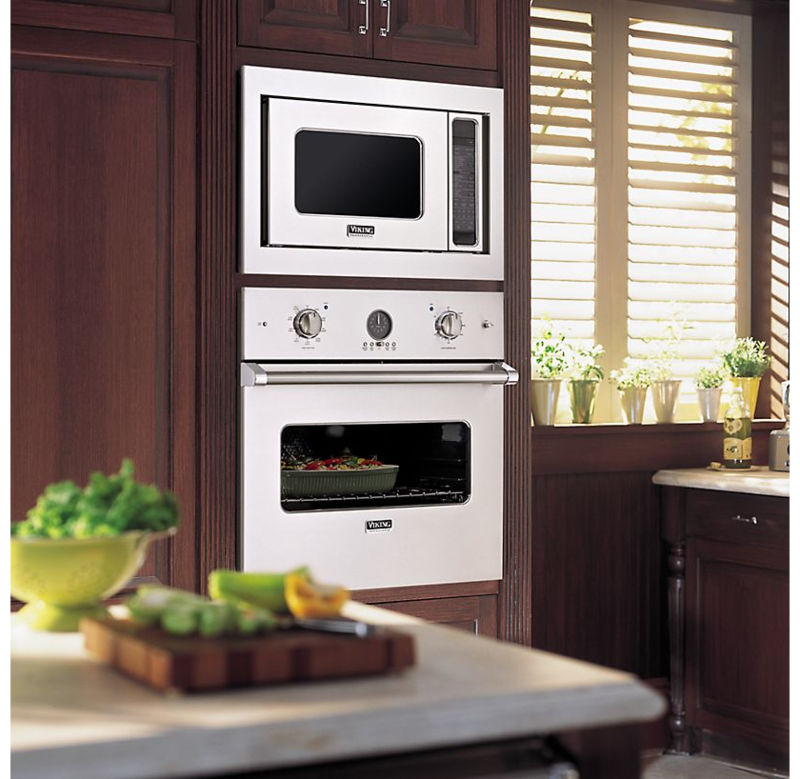 No preheat option and Easy Clean 20 minute steam function make this the perfect oven for the home chef. Single and double ovens available. Viking Professional Electric Ovens deliver full throttle commercial cooking power and the most spacious oven cavity in the industry. 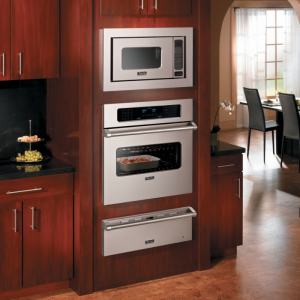 Features on Select models include a concealed bake element and TruConvec Convection Cooking. 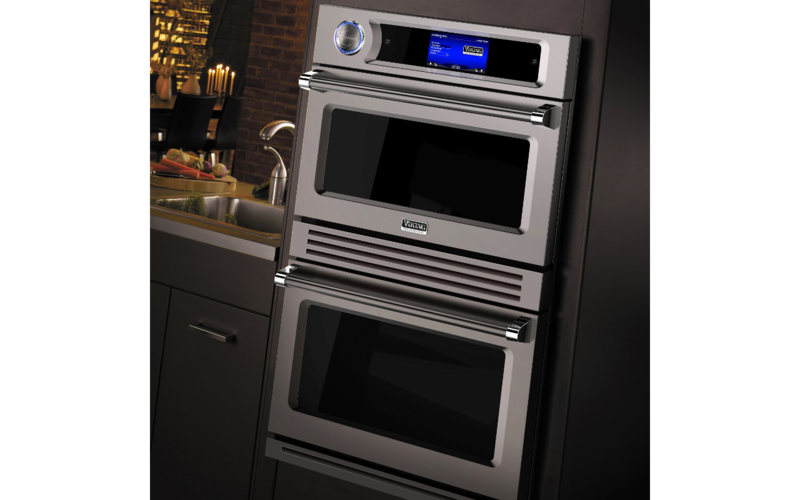 Premiere models offer convection in both ovens. TruGlide FullExtension Oven Racks are standard on both models. Single and double ovens available. 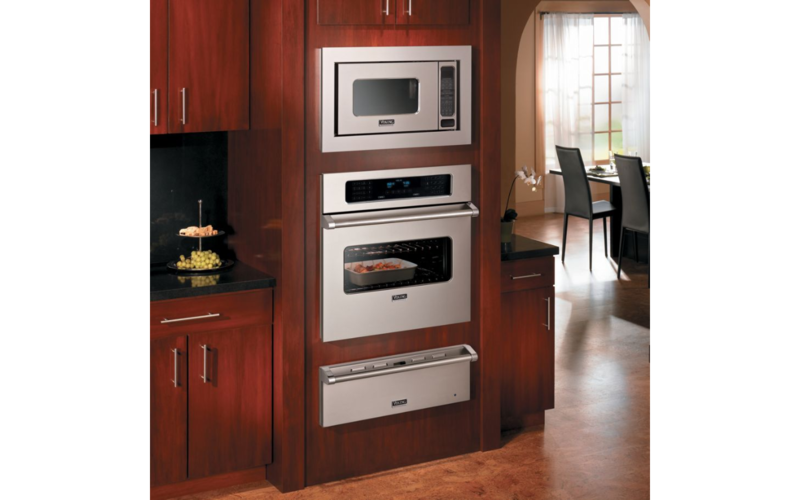 This little dynamo combines two cooking methods in one handy package: steam and convection baking. Steam cooking is the healthiest and easiest way to cook fresh vegetables, and when combined with convection, it works wonders for breads and pastries – light and fluffy with crisp crusts. Steam also keeps meats and fish moist, cooking them to tender perfection.